Hello! Happy Tuesday! Can't believe it's Tuesday already! :> The weekend was a waste for me as I spent Saturday and Sunday not feeling well! No fun but happy to report I am back at it! :> Currently as I type this post I am making turkey soup and working on cinnamon buns! If your wondering how come I am making turkey soup it's because my mom called us up on Sunday and said "come for dinner I had to pull the turkey out of the freezer since I need the room!" She sent me home with lots of leftovers! And cinnamon buns? Well I've never made them with yeast and I am needing a change from muffins and loafs! Plus who doesn't love cinnamon buns? 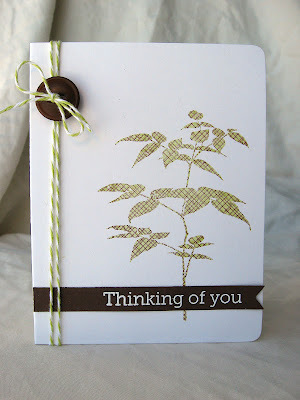 I kissed a leaf from Leaf Clusters with Envelope Pattern Background stamp both by Hero Arts together. 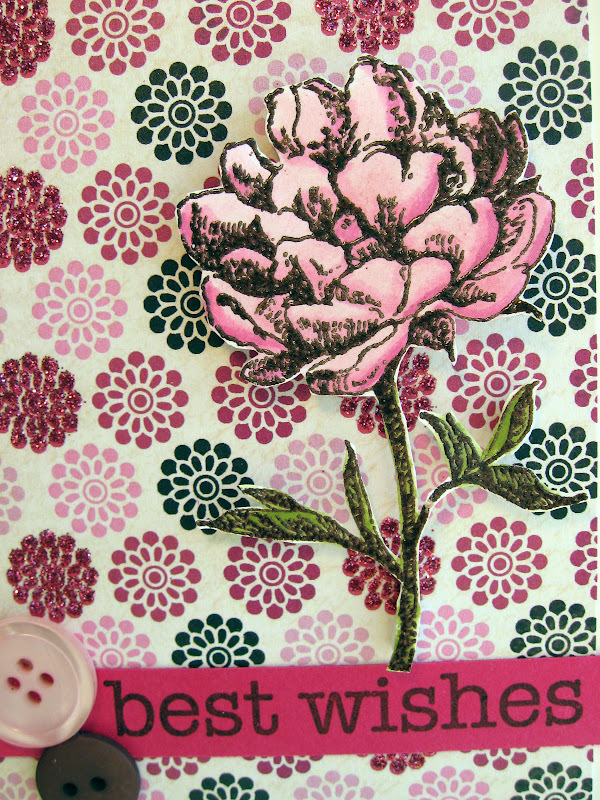 I used shabby shutters distress ink with chocolate chip ink by SU. I tied some matching twine by the twinery and added a button. I made this card on Friday and left it sentiment less. I didn't know where to put it so I put the card aside, I considered leaving it sentimentless but it didn't feel finished. Today out of the blue it dawned on me to put a brown strip with the sentiment across. So off I went embossing in white the sentiment while Carter played the piano next to me, maybe a bit with his feet (I told him not to!) 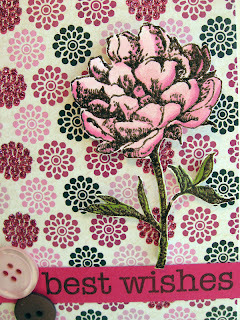 And there you go a card that I am happy with using my favorite technique! Life is pretty good over here lately. Working on more wreaths since I figure if I am going to open up an etsy store I should have a decent inventory, no? Also have to go to the other side of the city to get boxes for shipping! :> It's gotten cold here once again. Been hearing a lot of people complain about wanting winter to end. I don't. I enjoy the excuse to stay home. I enjoy the less busy life I lead in the winter. I love being home making stuff and baking and cooking! And all that without feeling guilty that it's beautiful outside and I should be out and about with the kids! :> Well I am off to feed the family and kneed some dough! Hello! Happy Thursday! Hope your day has been well! I've enjoyed being home with Carter all day! Hubby is off to the hockey game so it's just me and the kids tonight! But that's okay when they go to bed I've got Grey's Anatomy to keep me company! 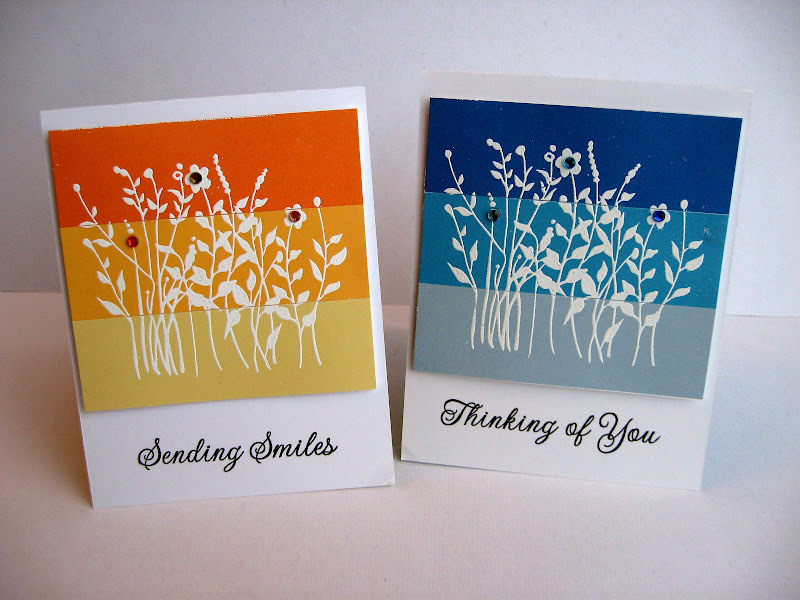 Today I have a card set to share that I made for a friend. I am trying to get back into making card sets to have on hand. The end of the school year is coming up plus birthdays are always popping up! 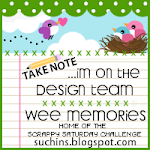 I am entering these cards into the current Simon Says Stamp Challenge, it's use 3 different papers, I totally did! I finished up a new wreath today. I love this color combo! I am working on opening an etsy store for my wreaths and I will be selling this one! I get a lot of orders from friends too! I love doing custom ones! Well I am off! 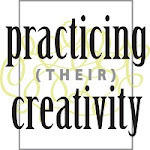 Have to practice spelling and piano with Ariel! Than bedtime and feet up for mommy! Best Wishes Tea Flower Card and a few Wreaths! Mix together put into ice cube tray and add food coloring drops to make color. Use fingers to paint the bath tub away! A few weeks ago I finished up an order for 3 wreaths from a friend. She picked all the colors and I am really happy with how it came out. What do you think? I really enjoy making them and have a cool idea up my sleeve! Well I am off to get the kids ready for bed. While I typed up this post they were downstairs playing a computer game (once Ariel does her piano and school work if there is time she can play a bit!) Have a great week! Hello! Happy Thursday! Not sure where the week has gone so far! I am happy to share my voice is a lot better but still not yet 100%, it's taking a while to come back since I lost it on Saturday night! 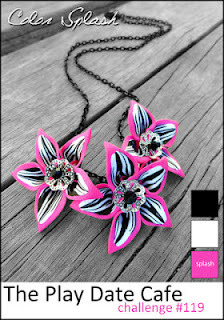 Today I have a card to share that I made for the Play Date Challenge newest challenge which is color splash with hot pink!! I saw the challenge last night before bed. I love the color choices! I sat down this morning and this card came together quickly. I very much enjoyed making this card, don't you love it when that happens? With not feeling all that well this was the first time I crafted this week! I wanted to play with my new zig zag stamp by Hero Arts. 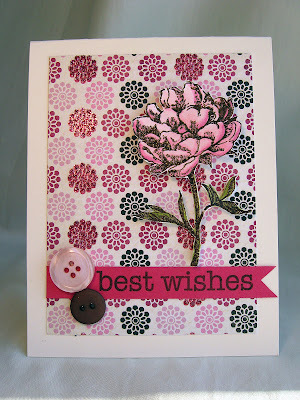 And I was inspired by Julie Cambell's shaker card here. I love shaker cards! I used to make them all the time! I love the idea of using a clear bag for the shaker! You know how many clear bags I have? Between the various clear envelopes and various size bags that I have for treats I am set! Beyond an easier way to make a shaker card! Today my two ideas meshed and I came up with this card! I used some glitter that I have had forever! 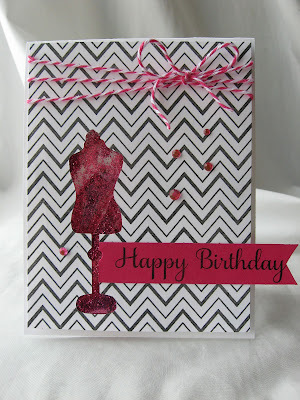 I added some twine by the Twinery, some jewels and a hot pink strip with the sentiment! We all loved it! Such a fantastic movie! Great story! :> I want to see it again with Chad! You should go see it too! Next up I want to read the book! 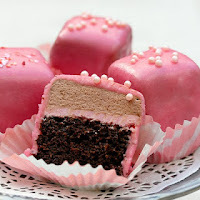 For Valentines Day I made treats for Ariel's class, I used my babycakes cake pop maker for the first time. It really made it so much easier but it was a bit tricky to figure out how not to overfill it! I wanted to make red velvet cake pops but didn't have enough red food coloring so I made pink velvet! Well that's it for me! Supper is in the slowcooker so I think I will spend the time I usually would making supper baking some banana bread! I love baking! Aqua, Red and White You're The Best! 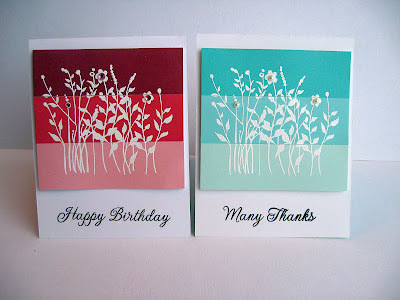 For the card I stamped the classic fabric background by Hero Arts with white pigment ink onto the teal cardstock. Love how it looks. I made the flower out of 5 circles, 4 of them folded and sewn onto one of the cirlces and I sewed a button by my mind's eye on top. I am really pleased with how this card turned out! I actually have another wreath to share too. This one is inspired by the other one but slightly different. This wreath I made just to make. I am thinking of starting an etsy store to sell my wreaths! If you have any tips on etsy let me know! What do you think when I put the flowers in two places? Better or you like both? Well I am off! To make treats for Ariel's class!! :> Oh and I was on the mend. But I lost my voice last night! Not sure if it has to due to with my previous vocal problems or to do with my slight cold. Annoying none the less I enjoy talking! 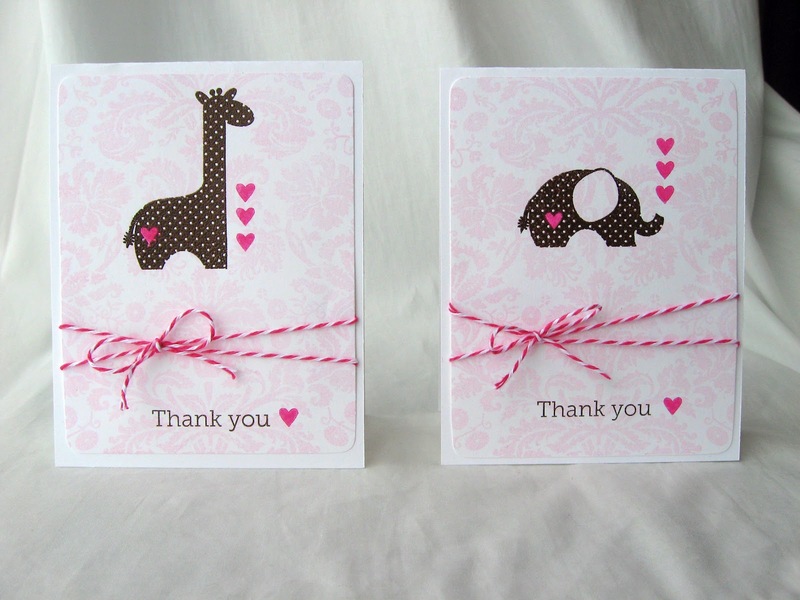 Baby Ivy's Thank You Card Set! Hello! Happy Friday! Hope you have fun weekend plans! It's gotten really cold here again. We are talking minus 40 with windchill! We have some plans and I have to work on Valentine treats for Ariel's class! I have some very exciting news to share with you. 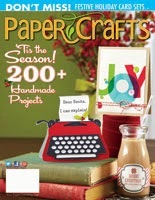 Today I received an email from Paper Crafts Magazine! I got a card picked up for publication from them for the Stamp It issue! This is my first time I've gotten a card accepted by them! I am so happy! My heart was in my throat and I had tears in my eyes as I read the email! Dreams do come true! Today I have a baby thank you card set to share! One of my friends just had a baby girl, this is there fourth child, the other 3 are boys! Beyond excited for her! I babysat two of her boys once in a while this past fall and got to love on her youngest. It was wonderful and I look forward to loving on this new baby! 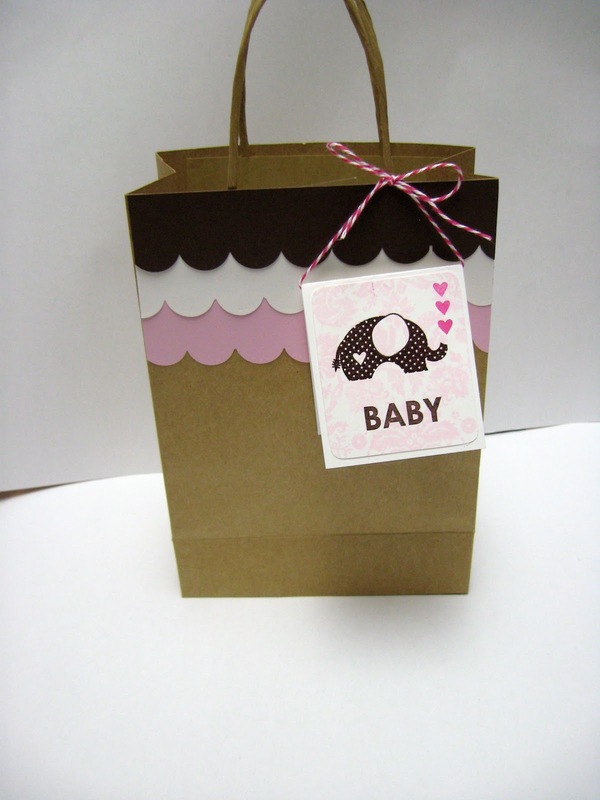 A friend hosted a shower for her and I asked if she would like a baby thank you card set and she said she would! Well I am off to make dinner! I was feeling sick yesterday but am feeling so much better. I could feel that my body was fighting the cold! So happy to be on the mend! Looking forward to a night at home! It's too cold to go out! Hello! Hope your having a great day! Sorry it's been a bit since I last posted. First up I want to send out a big thank you for all the kind words I received on my last post on my first publication! You girls really made me smile and feel special! Than on Sunday night it was the superbowl. I am not going to lie to you I am not really all that into it. 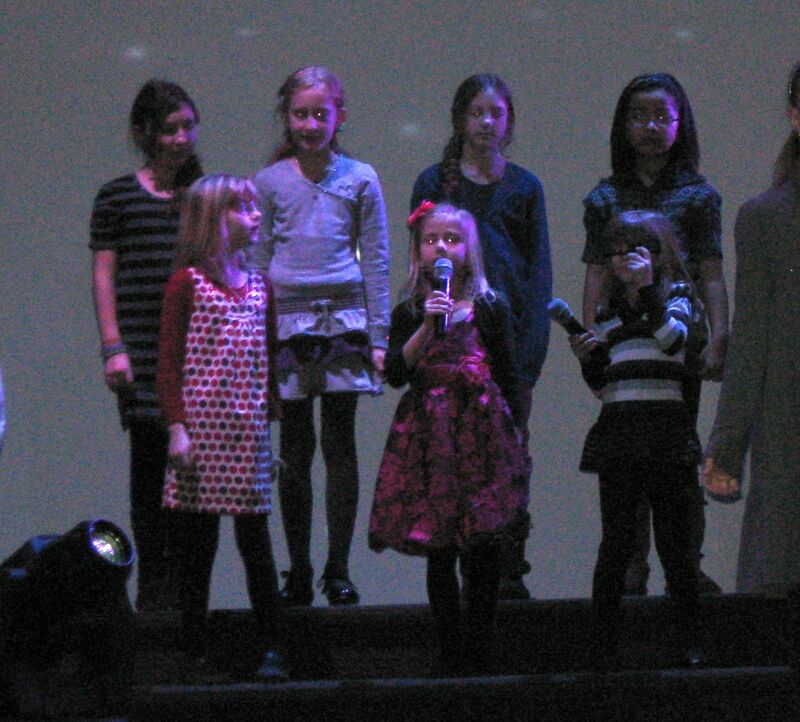 But my church was having a party and the guys decided that they would go and bring along there families! And it was one of the best nights we all had! The guys watched the game in the sanctuary, us girls sat in the lobby which had been set up as a cafe and enjoyed chatting and catching up. And the kids played connect in one of the rooms, ran around, and enjoyed running, doing an obstacle course and playing football on the sides of the sanctuary! It was fun for all! I remember back when we all had one kid and it was easier for a bunch of us to get together but as our families have grown it has gotten much more difficult which made this so much fun! Hello! Happy Thursday! I love Thursdays as it's a nice relaxing day at home. No kids activities and no reason for me to leave the home! I love catching up on house stuff, crafting and today I am focusing on my assignment. Unless inspiration strikes! I am beyond excited to share with you my FIRST ever published card! 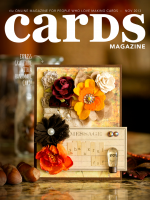 It is in the January issue of CARDS magazine. Back in August when I received my first email of having a card picked up I was beyond happy! It really is a dream come true. I know my crafty friends get it but I was surprised by how happy friends and family were too! Running into people I got a lot of congratulations and questions about it! Neat, huh? I am a happy girl. 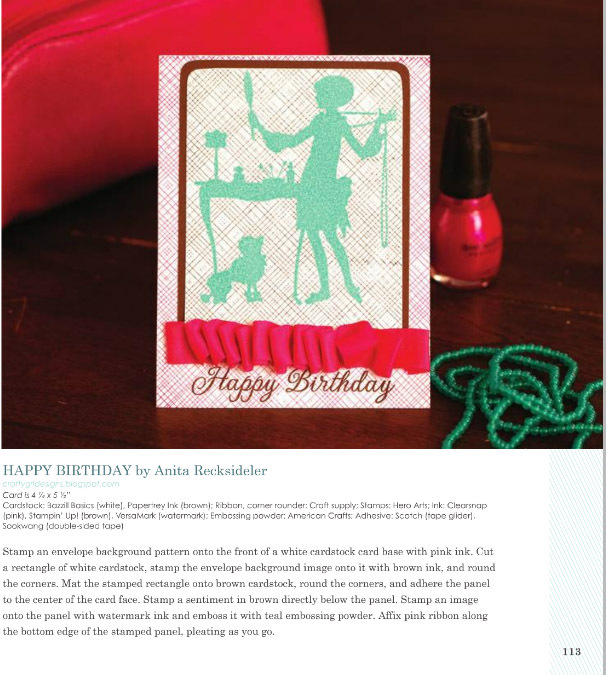 Who would have thought 5 years ago when I was a young mom to a sweet baby girl and thought I needed a hobby just for me and decided on cardmaking that one day one of my cards would be in a magazine never mind CARDS! I've realized lately that I am the happiest that I've been since I've rediscovered my creativity. It started 5 years go with card making. I was creative as a child but with the demands of school and university I lost it. So happy I've found it again. Hello! Happy Wednesday! It's been a great day! The weather here has been amazing, only a short oh so cold spell but other than that it's been a fabulous winter! I think most of North America has been quite lucky! I followed the tutorial from the Idea Room here. I won't lie to you, it took a long time to make. I worked on it each evening for a bit and had to keep sending Chad back to Michaels to buy more felt. I handcut more than 260 3 inch circles and pinned them on the wreath. I was a bit apprehensive about just pinning it with a stick pin but when I tried it was very sturdy and I knew it would stay put. I thoroughly enjoyed making this! It saves so much time and it's easier to cut a nice circle. And the white ink wipes off easily! This is a familiar site around here. My two love each other so much! Carter wakes up first in the morning and used to come to our bed and cuddle us but has moved on. He now wakes Ariel up each morning with "Ariel I want to cuddle you!" And she is more than willing! I often find them cuddling together in either his or her bed! It is the sweetest but the only problem is that he wakes up earlier than her when she would like to sleep about half an hour or so more. On Saturday Chad caught him going to her at 6 am! He put him back in his bed and they both slept for 2 hours more. We are trying to convince Carter to come to us but that hasn't worked and I have been trying to convince him to go back to sleep when he wakes up and wait for Ariel to wake him up! By the way like Carter's pj's? He spotted the material at fabricland when my mom and me were there buying the fabric for Ariel's birthday skirts and she bought it and made those pjs for him! Hope you have a great crafty day! Thanks for visiting today!